Pour the gin into a mixing jug then add the thyme and muddle to bruise the leaves and release their flavour. Remove the thyme leaves with a slotted spoon and discard. Add the cranberry and orange juice to the gin and stir in the tonic water. Pour into a punch bowl or jug filled with ice. Finally garnish with plenty of cranberries. This is great drink to serve when there's lots of people coming around - it's not too sweet and not too strong... in fact, it's just right! 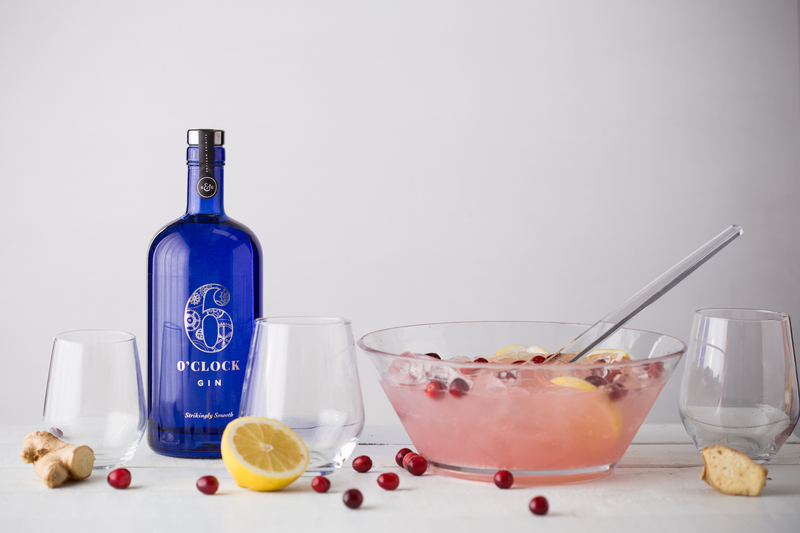 Grab a bottle of 6 O'clock Gin from the online shop today, and have a go at making your own Cranberry Gin Punch at home this Christmas.